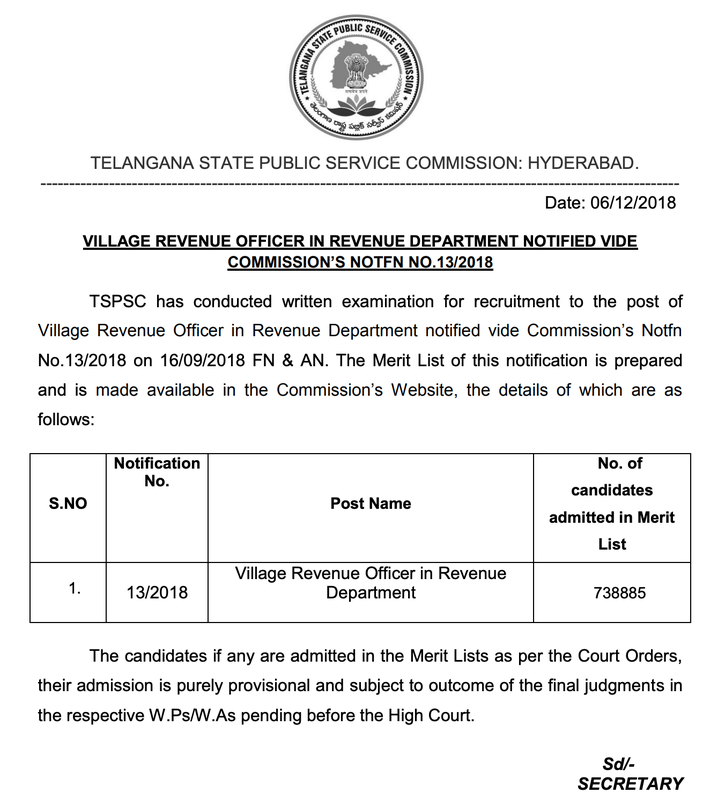 Telangana State Public Service Commission published the full complete merit list details of Village Revenue Officer (VRO) post. Your Hall Ticket number is enough to check your result. 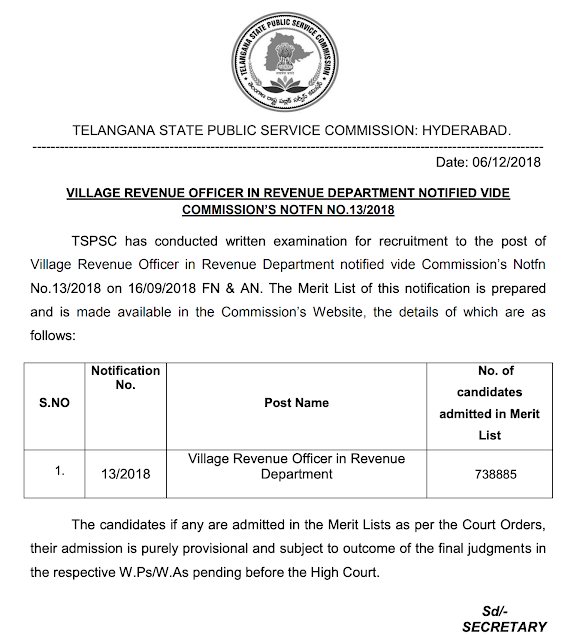 TSPSC VRO post written exam was conducted on 16th September 2018. Now, TSPSC published merit list and result. Total 7,38,885 candidate selected in this merit list. Official notification published below. How to check TSPSC VRO Result? Step 1: Visit this link. You'll see a screen like below. Step 2: Enter your hall ticket number and click Get result. Done. You'll able to check your result. All the best.